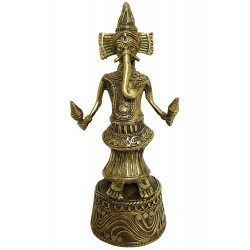 Attractive artistic Chaturbhuj Ganesha sculpture made of dhokra brass will give positive vibes to your home, office etc. 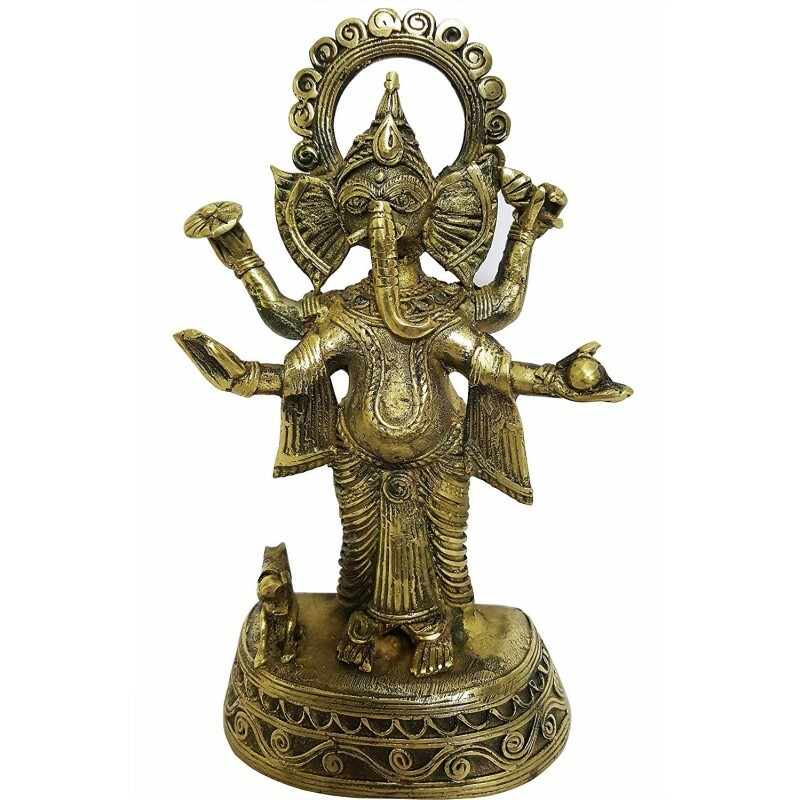 Ganesha the master of new beginnings is been crafted in traditional dhokra brass with a great degree of refinement revealing high spirit of life. This sculpture is handmade by the award winning dhokra artisan of Bengal. 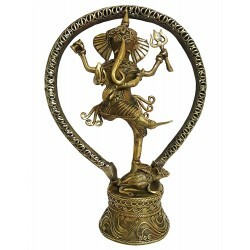 Ganesha is remover of obstacles and new beginnings, which has been crafted in traditional dhokra brass with a great degree of refinement. The chaturbhuj figure of Ganesha reveals high spirit of life. The Beautiful figure contains some of the exquisite carvings & designs on it. The sculpture has a gravity of emotional & spiritual value. Dhokra art goes back to 2500 bc in India. This sculpture is made by the award winning artisan of Bengal. This is a perfect accessory for your home & gift for any occasion.